Picture frame that holds a 3-1/2" X 5" photo. 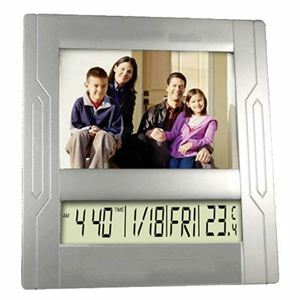 Features LCD readout display for time of day", day," date and temperature. Snooze and alarm option. Kick-stand or wall mount and measures 8" X 7" X 1/2".